Known in Italy as gelsomino, jasmine has been cherished for generations in the formal gardens of Calabria, where warm sunshine and gentle sea breezes enhance its soft, green aroma. 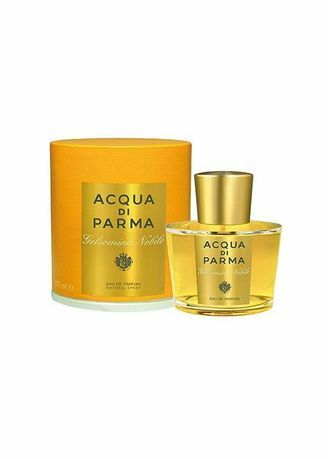 In Gelsomino Nobile, Acqua di Parma evokes this unique accord across a fragrance of extraordinary richness, personality, and nobility. A floral scent with green and musky notes, it opens with the brightness of Italian mandarin, pink pepper, and the sensuality of tuberose. With orange blossom in the heart and a warm base featuring cedar wood and musk, the grace and richness of Calabrian jasmine is revealed throughout the life of the fragrance.